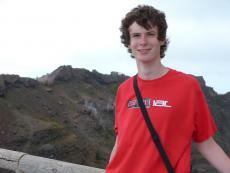 Hi, I'm Will Foreman, I'm 19 and I'm in the first year of my Geology degre at Leicester University. I'm in a couple of bands as well (I play bass, guitar and cajon). I used to always write lyrics but struggled to write for the genre that I play (metal) so I now write more poetry than lyrics. I'm only on this site for a bit of fun but it would be great if people would leave any comments or criticisms for me to use.